When purchasing a handcrafted paint tool by Purdy, you’re guaranteed quality, service and value brought to every single brush – stamped by the maker. The paints at Exeter Paint only reflect the best in the industry and its no different for our products as well. Purdy brings expert knowledge to the industry since 1925 when they started crafting their products in a garage in Portland, Oregon. Each tool is guaranteed made from “only the finest raw materials” which is why professional painters today seek out the Purdy name. Take a look at some of their various How To videos to keep your brushes in pristine condition to getting a professional finish on a DIY home project. Coming from a small business blog, it’s not a surprise that we promote buying local. But, it’s not just a good idea because we say so – it’s helpful to the entire community and yourself in so many ways. Below are the top ____ reasons that you should not only buy local at your favorite paint store (cough cough), but you should seek out the weekly farmers markets, buy from the local corner store, or even find your next outfit from a smaller, local designer. 1) More money stays in the community. There are various publications out there that state the details, but in layman terms, the more money you put into the community, the more it’ll be reinvested in the same area creating a better economy for your small city or town. 2) You will be supporting local entrepreneurs. Instead of throwing your money at big box companies, support locals who have fought from the ground up and establish their small business. We want to keep this unique and creative mentality booming, so why not support your local entrepreneur instead of all the copy + paste companies that start to make every city and town look the same. 3) You help build communities. With local business supported by locals, there grows a larger sense of community. Be apart of that bond. 4) Keep our community unique. We usually choose a place to live because of what each city or town brings to the state. So when we let big box companies come in and take over, we lose a bit of the originality of our community. When we support local business, we’re giving the support to help maintain that unique personality we’re often so proud of. 5) Create more good jobs. According to the National Employment Report, small local businesses continue to create almost double the jobs than its big business counterparts. With a smaller business, you’re more likely to find friendlier, more knowledgeable faces behind the counter waiting to help you with your questions. Most small businesses also understand the importance of community and are willing to out the extra mile to help you out. 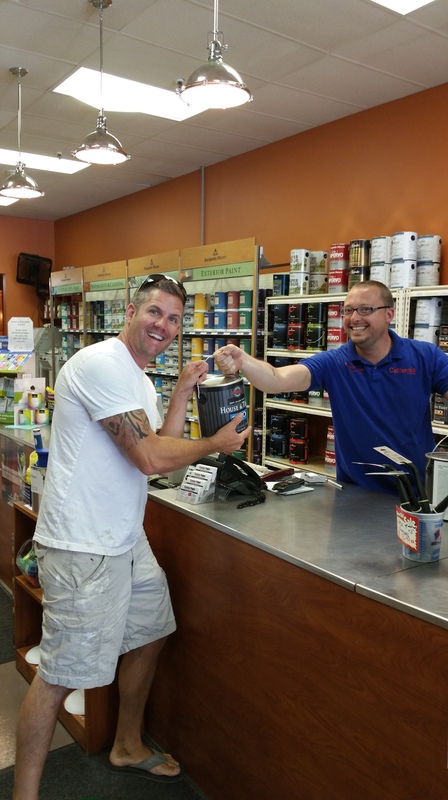 You may also find that with more personalized service & sense of community, clients may benefit and receive a better deal – in form of informal discounts or getting an extra paint sample or brush tossed in the bag for being a regular customer. 7) Local business are more likely to give back to the community. It all comes back to community. A local business understands this better than the big biz that come in to spread their clones and earn the big money. While a local business needs to thrive, they also understand the importance of other local organizations and non-profits. What are some other reasons why you think it’s important to support local business? We’re all guilty of scrolling through Pinterest and gawking over those DIY projects and thinking, “We can do that, too!” But sometimes it’s more than just finding an unloved piece of furniture at a yard sale, bringing it home, sanding it down, and putting a fresh new coat of (cough, cough Exeter Paint paints) on that baby. Sometimes, we may need to seek out some professional help – but where’s the line? To begin, it’s important to ask your self these questions before you jump into any project: Do you have the time and patience to tackle these projects on your own? Are there building regulations or codes I need to seek out? Do I need to purchase a lot of tools in order to complete this project and will I ever use them again? 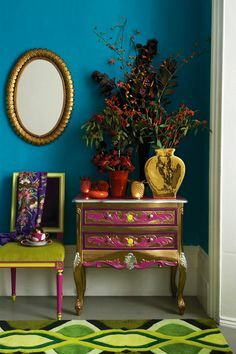 Whether it’s a painting, mirrors or a gorgeous oriental cloth, we can definitely manage this on our own. However, “on our own” maybe means with an extra set of eyes to tell us if what we’re hanging up is even. If you’re really unsure about doing this there are lots of amazing tools online from step-by-step posts to YouTube tutorials to give yourself the confidence to start on your project. If you have the time (and patience!) painting your own walls could save you money in the long run, plus allow for some serious bonding time with a loved one or a solo space for you to disconnect. 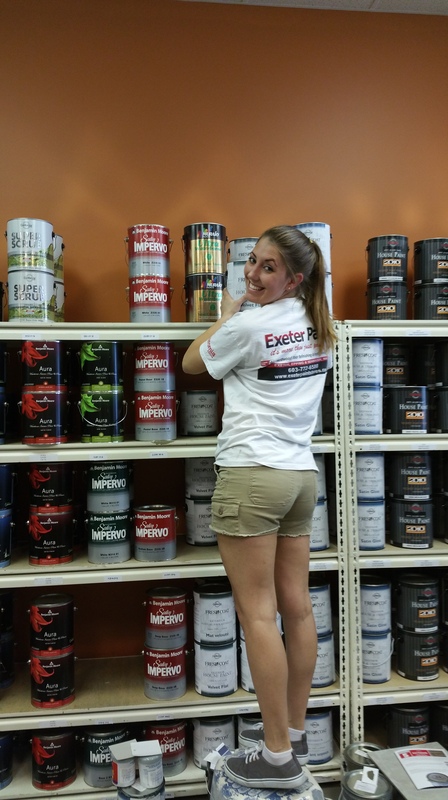 Any doubts you have about paint colors or the exact process, your local paint store employees (Exeter Paint for those of you nearby!) should be able to guide you in the process. This is something that your local provider should be able to give you some helpful advice on how to install a new light fixture on your own. It’s not a very invasive project, nor should it take very long at all. Again, it’s best to have a second pair of eyes there to help in the process. Also, don’t forget to turn off the electricity before dealing with those wires! Always a fantastic way to spice up your home and make it feel more like you. Whether it’s an outdoor patio or full back yard with a green lawn, by adding just a touch of color with flowers or new textures with various bushes and trees, you’ll notice the difference immediately. By doing a little research to see what plants and flowers will flourish in your type of garden (lots of light to no direct sunshine) you can find the perfect combinations to add to your home. When it comes to big projects that require expensive tools, knocking down walls or taking up floors, seeking out building permits, it’s best to hire a professional. They know exactly how to proceed with such a grand project from start to finish that it’s worth paying those big bucks. Plus, who wants to live in a messy construction zone for months on end when the professionals can have it done in half the time? Unfortunately, in a lot of older houses there are health hazards that linger in the paints, old pipes, and in old siding insulation. This is where you don’t want to “play with fire” as taking on these projects could expose yourself and your family to dangerous chemicals. Hire a professional, they know how to complete these projects safely for themselves and everybody else. With heights, tools, and long hours of work – it’s important to leave these types of renovations in the hands of a professional. Plus, if you make a mistake in a roof renovation, imagine all the further possible damage it could lead to in the rest of the house. The sun is shining, the kids are out of school, and their growing minds need constant stimulation. What better way to bond and be active than getting elbow deep in your next paint project (figuratively speaking, of course!) together. We’ve found some fun projects that the whole family can enjoy and leave your children in awe for the rest of the summer (or at least a few hours)! 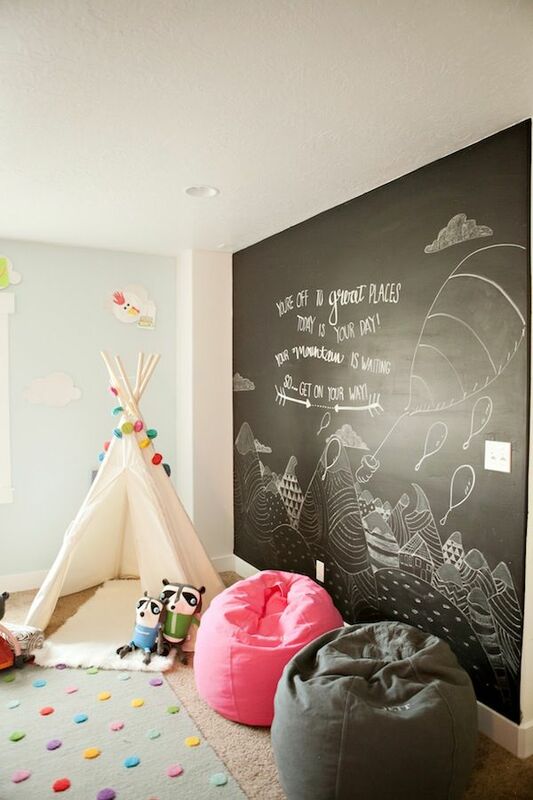 Chalkboard Paint: We’ve seen it before whether in real life or in the movies, the children that go a little “color-crazy” when their parents aren’t looking. While your children’s personalization of your favorite wall color may not be what you have in mind, why not give them their own space to let our their creative musings. Chalkboard Paint is one of our favorites at Exeter Paint. We use it on the walls, on furniture, and cutlery. Have your kids help you paint one wall in their bedroom or play room for some outside the box coloring fun this summer! Painted Frames: Not in the mood to paint an entire wall? 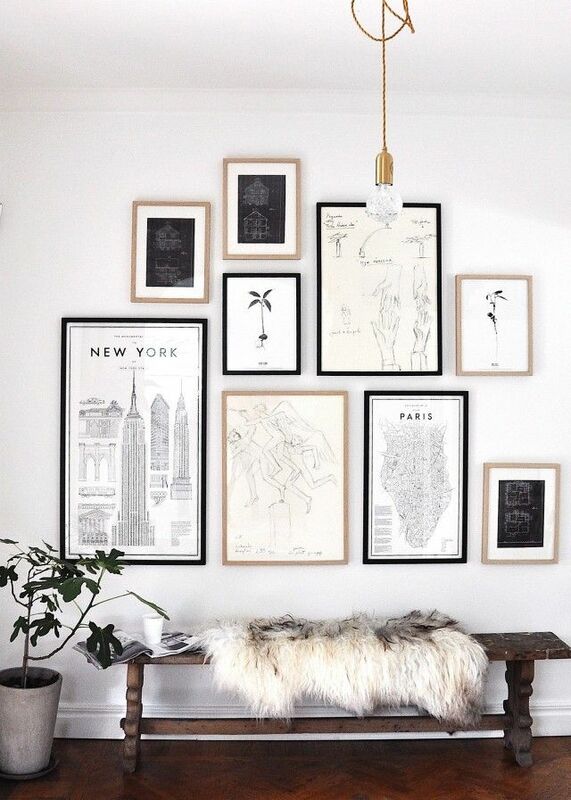 Just add a splash of color with frames! Have your child pick a favorite color and get to work. 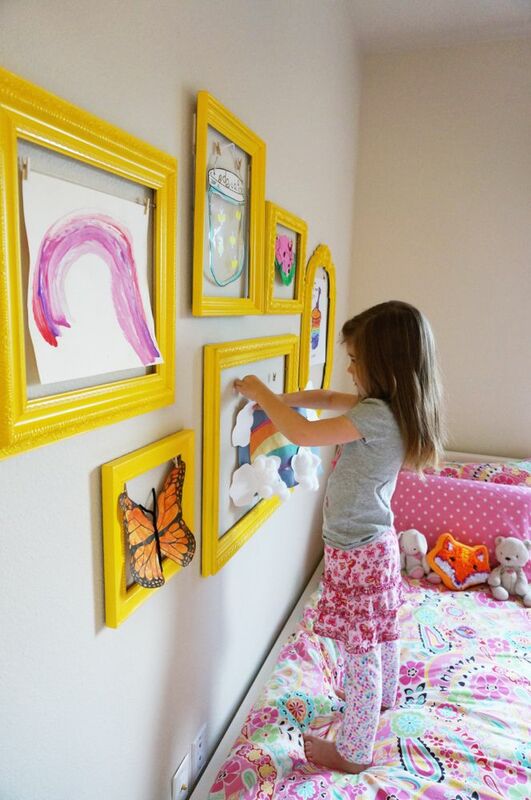 Once dried, hang these frames up and let your little ones decide what they want to show off! It’s wonderful since they can swap out their masterpieces whenever they get bored. And you can always repaint the frames to keep up with their ever-changing favorite colors! 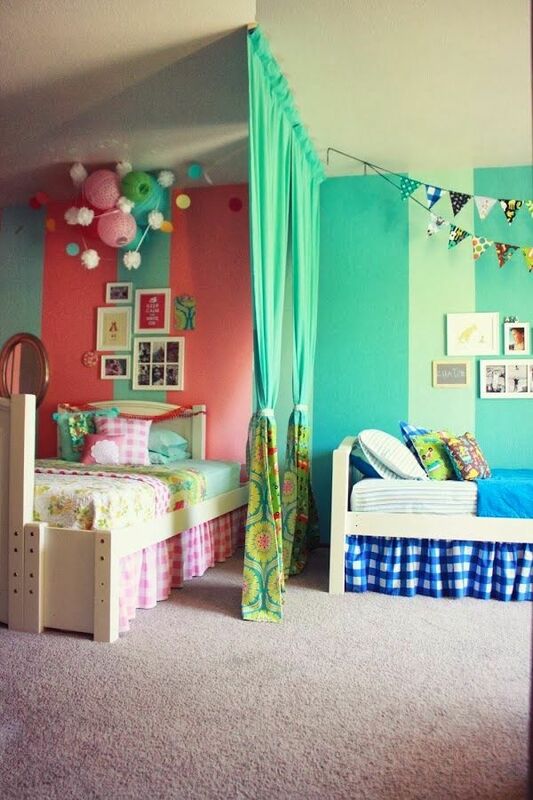 Stripes: Sometimes sharing a bedroom is the only option, but that doesn’t mean both kids have to compromise their favorite colors! By painting walls with stripes, you’re allowing each child to choose their own color while finding a mutual one that works with both. There are so many beautiful color combinations that will work well together — so don’t fret in letting your little ones help you pick them out! This fun little project can help create personal space for each child! They can each learn to care for their side of things without it getting too confusing. Color Therapy: And then sometimes an entire makeover is the answer. If your little one is super keen on one color in particular, don’t hold back! Learn from the best on how to get a smooth finish on your next wall project. To tie the roomtogether, bring in stripes and different shades of the chosen color to add depth to the room. White furniture is always a nice contrast and way to balance a room for a bold wall color. What are your 2015 summer project plans with your kids? 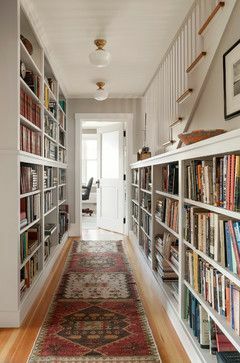 We always focus on the kitchen, the living room, or bedroom spaces — but what about those forgotten hallways? We’ve brought together some of our favorite ideas to help spice up your hall walls. 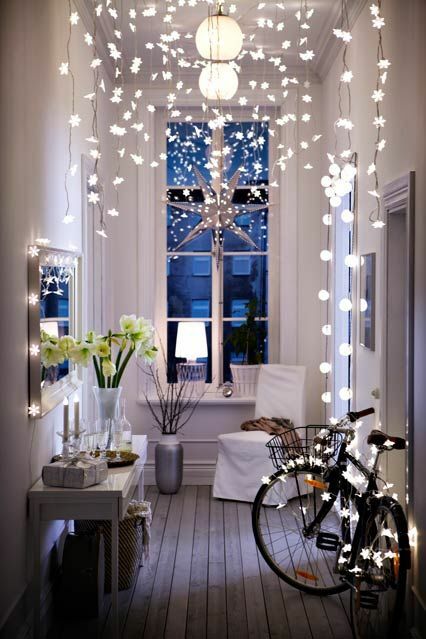 string lights or some gorgeous metal light fixtures. in the hallway to add a little extra pizzazz! Mirror Looking to make that narrow hallway feel bigger? 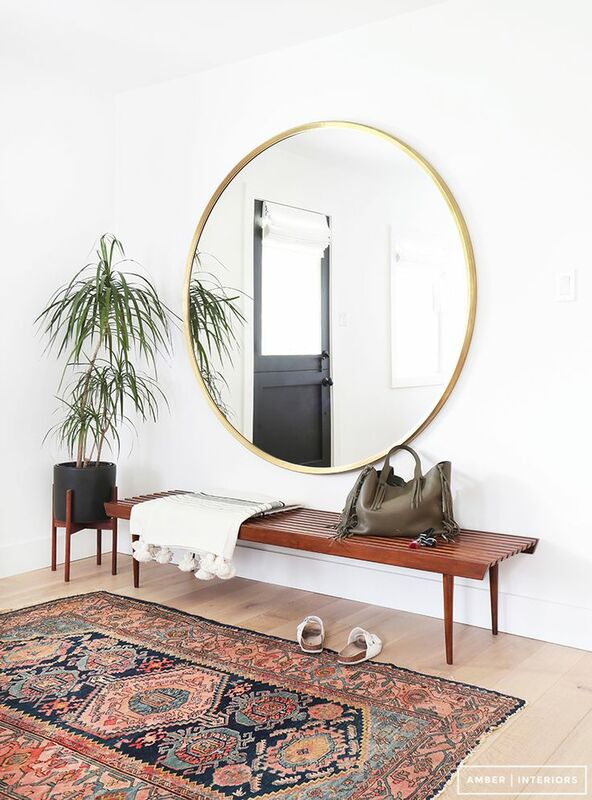 Add some stylish mirrors to the walls and let the magic happen. Bold Colors Afraid to add that bold color to the kitchen or living room? Test it out in the hallway and see how it feels! Book Shelves Display your life’s collection of books in the hallway. Add a little dreaming to your stroll from room to room. Stripes Add texture to the walls by using stripes to design your hallway! We want to know! What do your hallways look like? As with fashion, food, and the weather – colors trend from season to season. Although we’re already at the halfway mark of 2015, we’d like to revisit the Benjamin Moore Color Trends of the year. The good thing about being positive thinkers over at Exeter Paint, means that we STILL have six more months to give our home a fresh start whether it’s new paint or adding a wall covering. What’s your favorite Benjamin Moore Color Trend 2015 color?